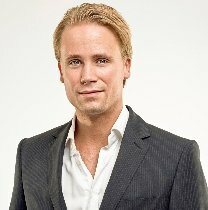 Tobias Edström, Business Consultant Business Models Inc., supports (inter)national organizations with the development of new business models, new markets and new customer segments. Tobias has 10 years of experience in business development and the establishment of new markets. Tobias’ specialization is the valorization and monetization of new products and services in an ever-changing market. He helps organizations to deploy their resources in an optimal way and to develop new (digital) channels in order to meet the needs of (tomorrow’s) customers. He has a proven record in digital media, social media and digital marketing. Before joining Business Models Inc., Tobias worked at Spotify, Schibsted and Expressen.